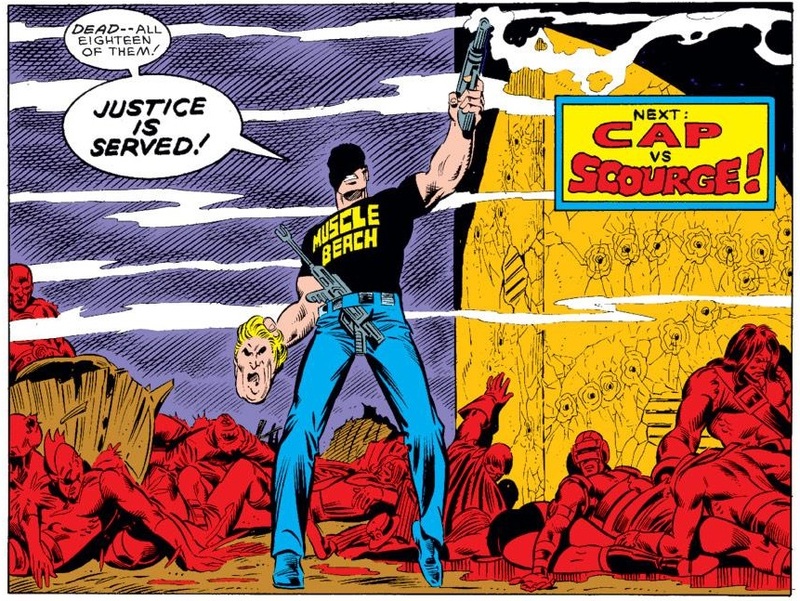 …the Scourge of the Underworld’s identity? 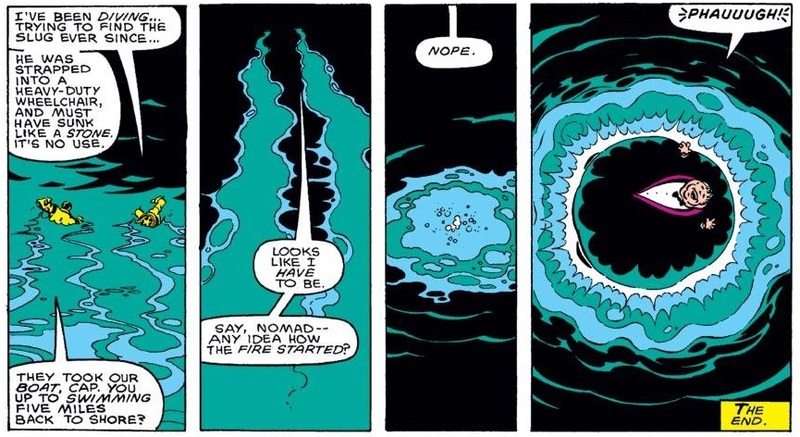 | "How Would You Fix...?" 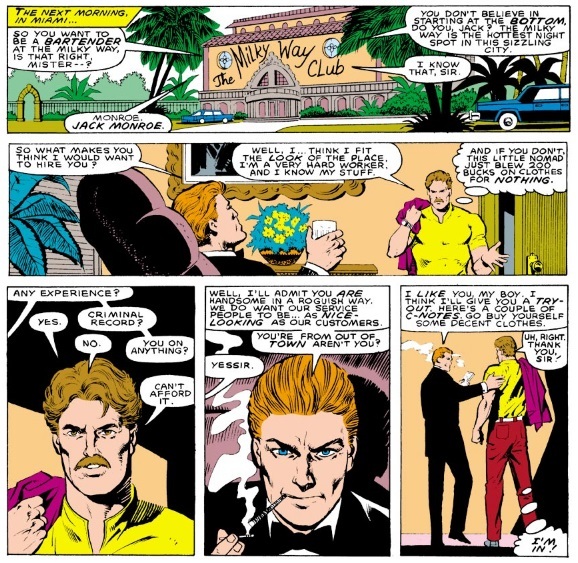 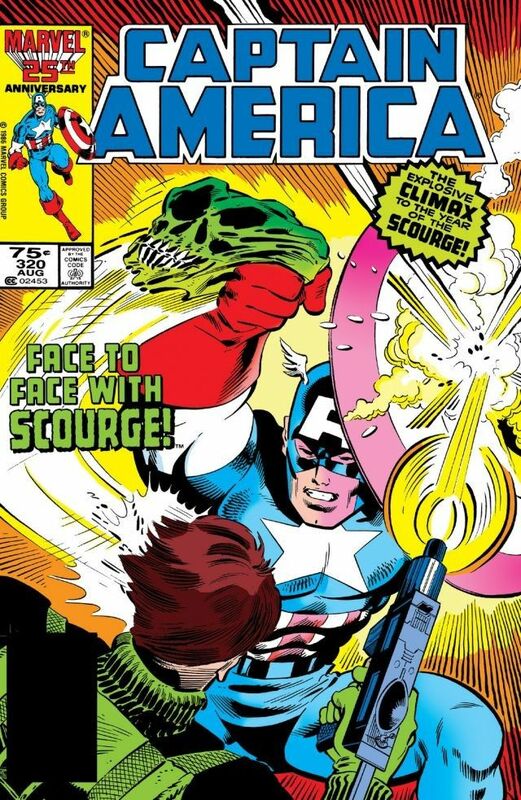 So an entire article on Scourge and little on the big plot hole regarding Gruenwald’s Red Skull retcon and his co-opting the identity of Scourge or the lingering mystery towards USAgent’s brother being involved in the Scourge? 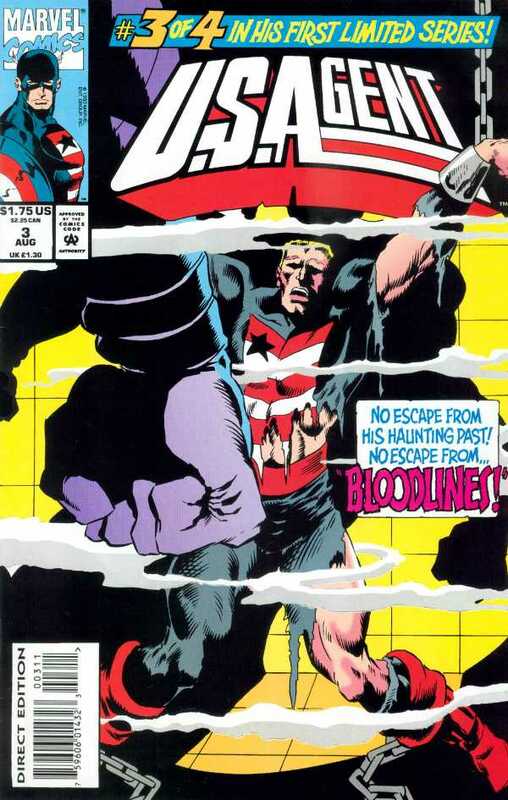 Or the Scourge backup story from the Bloodstone Quest with USAgent? 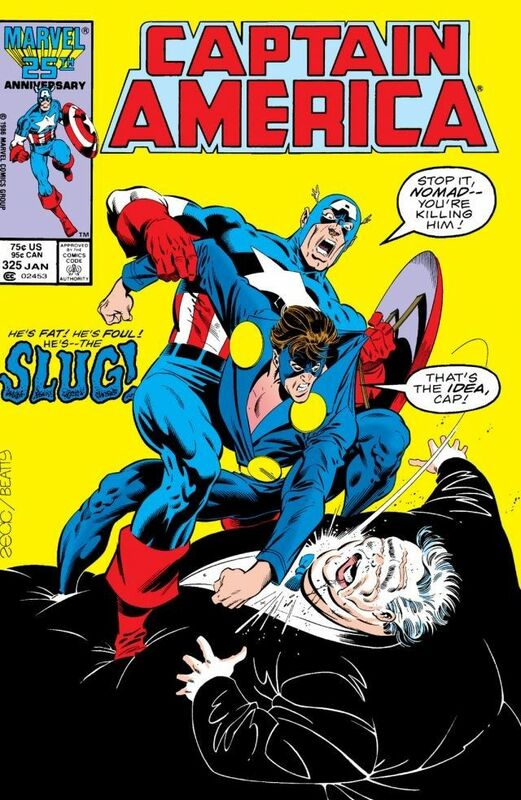 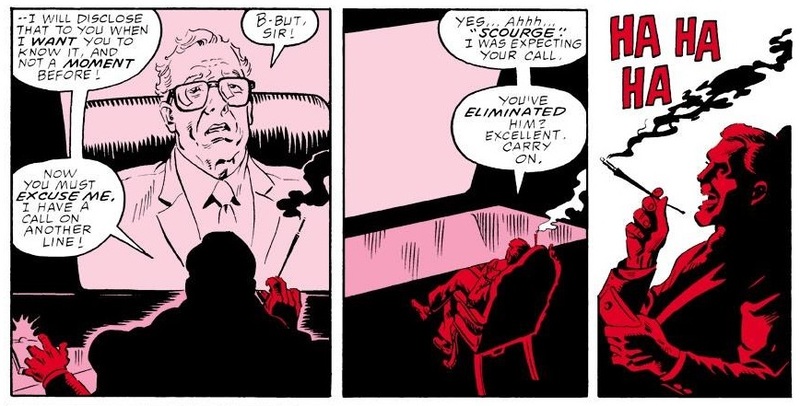 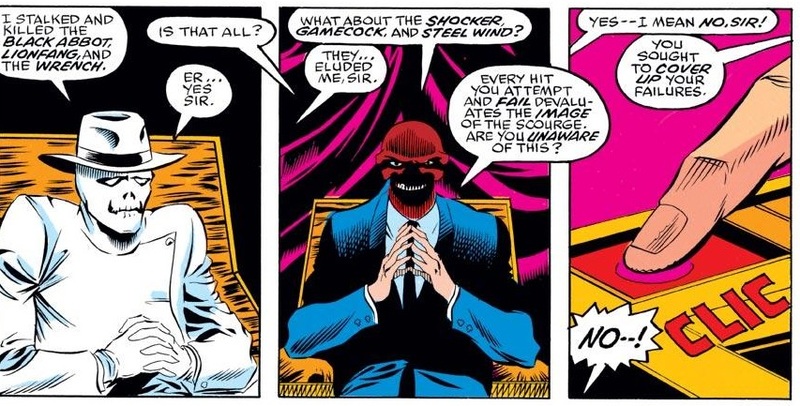 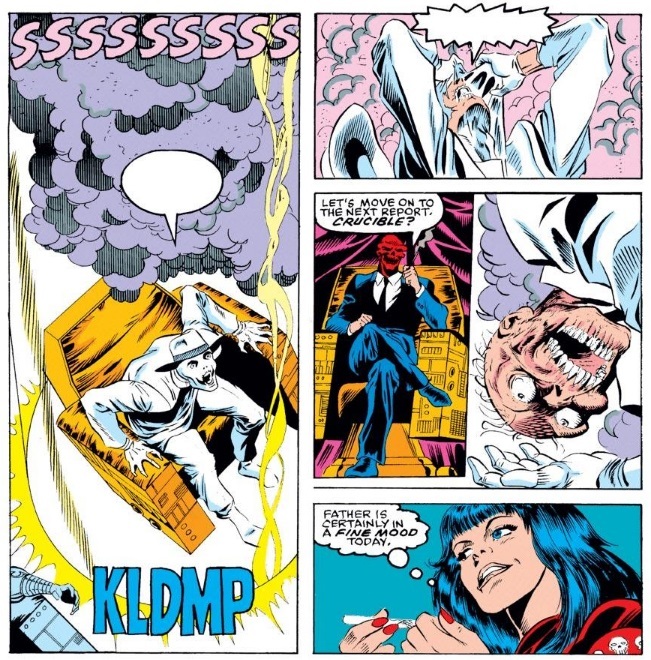 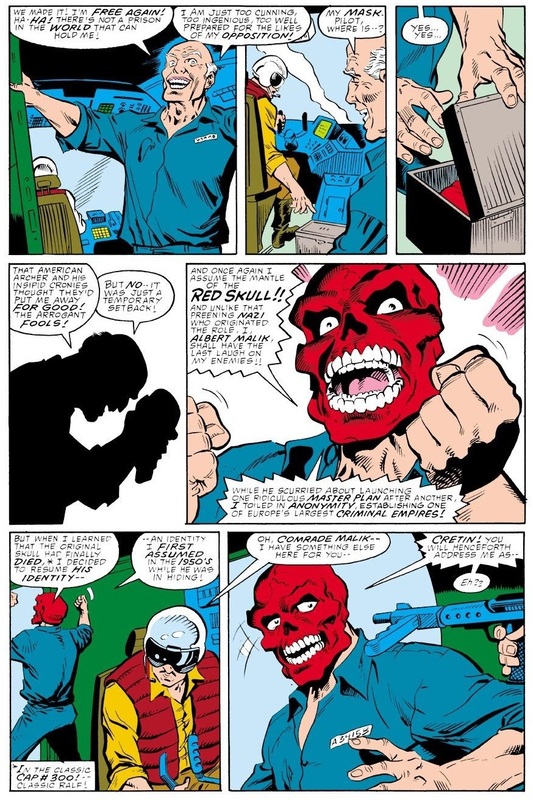 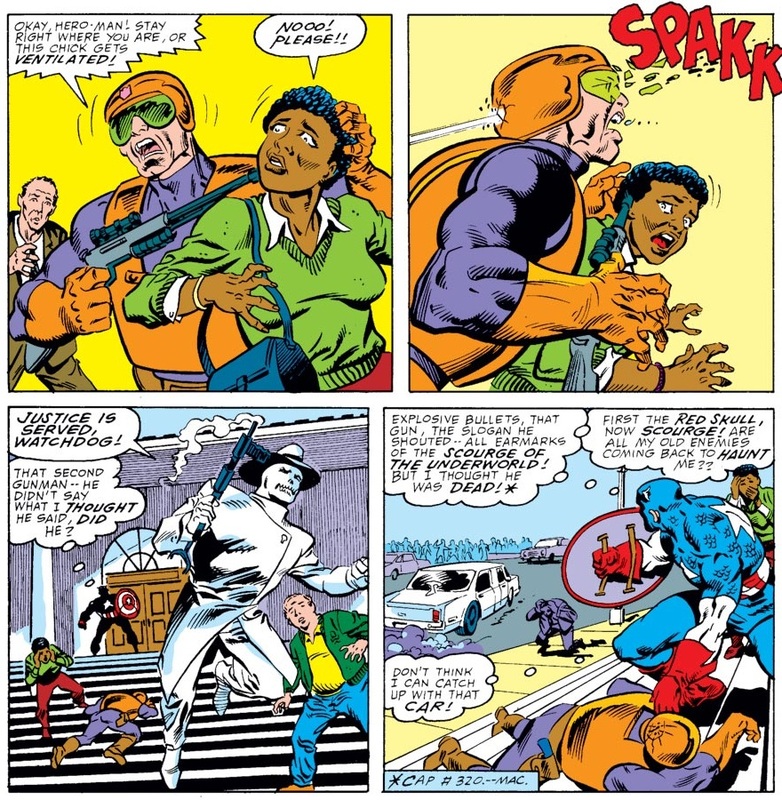 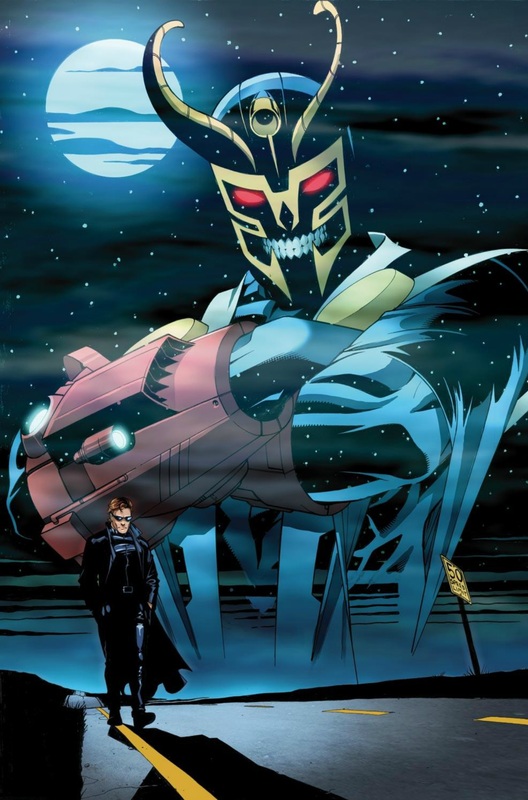 The Red Skull thing was never addressed in the USAgent mini-series (which existed solely so Mark Gruenwald could sort out/untangle the mystery of the Scourge) but later Handbook entries from the Marvel Universe from the 00s/10s established that Red Skull raided the Golden Age Angel’s Scourge organization for people to serve as his Scourges. 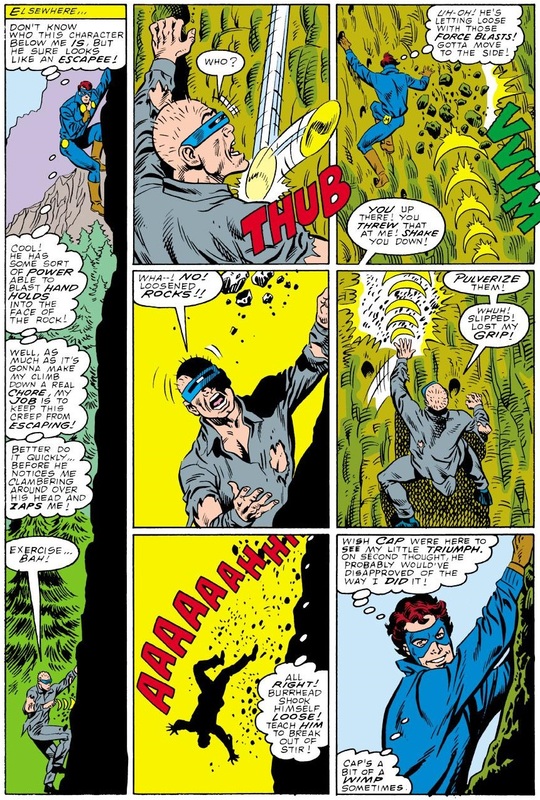 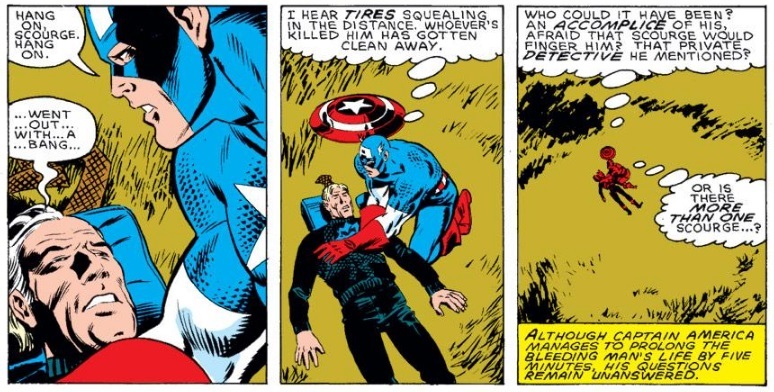 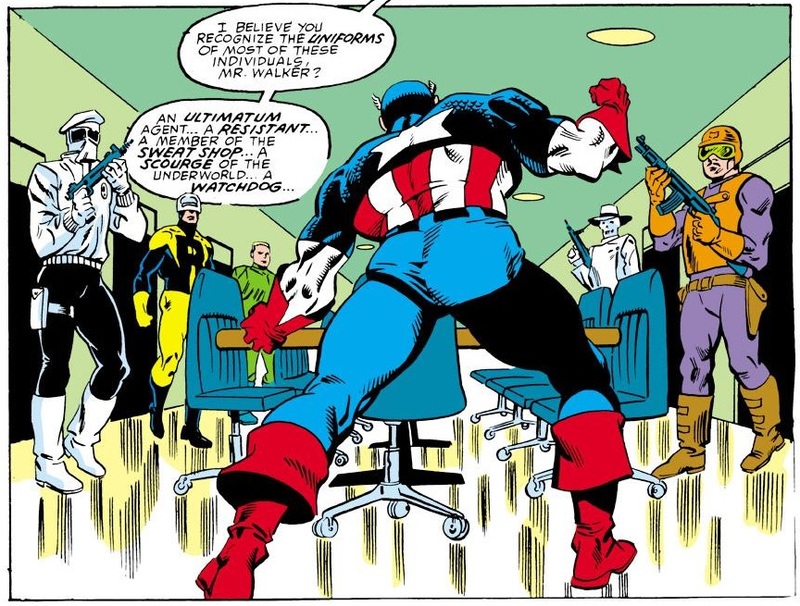 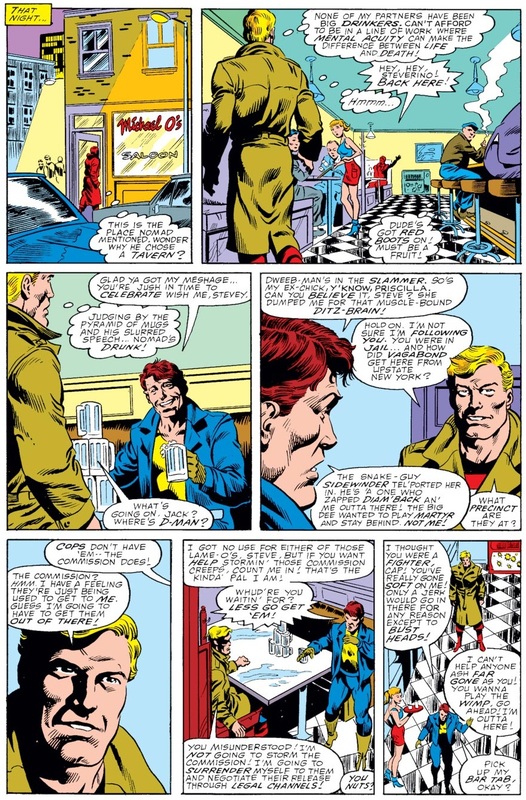 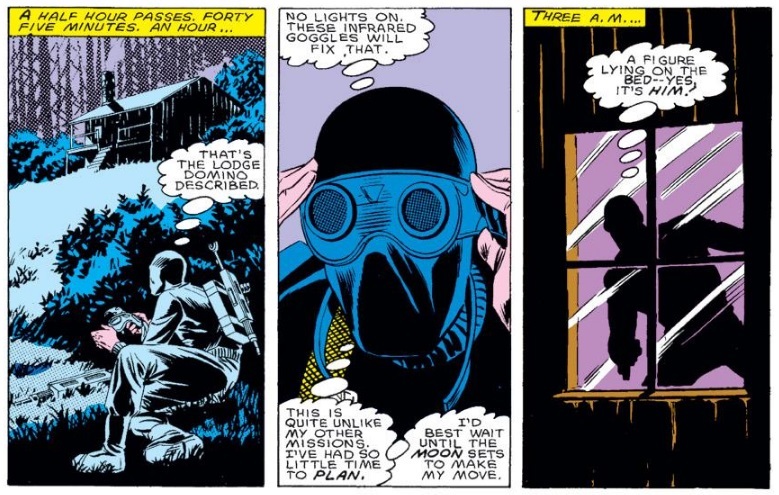 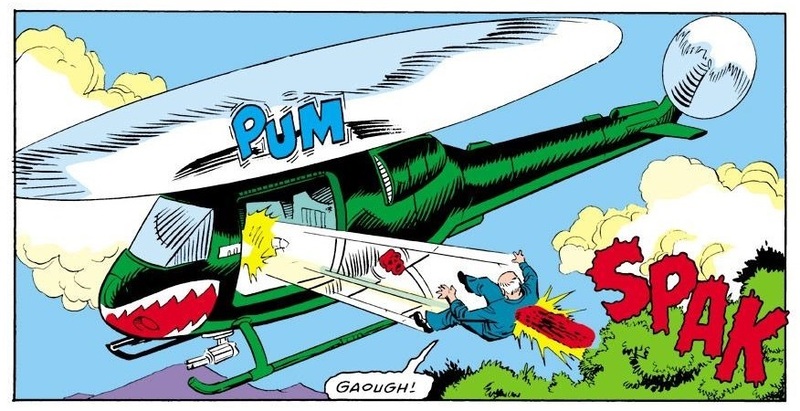 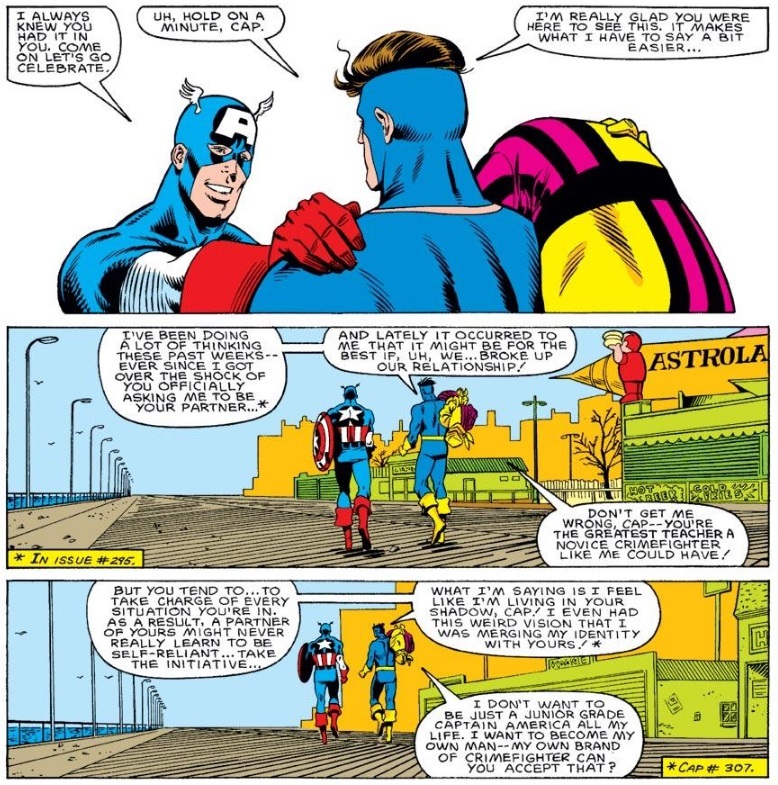 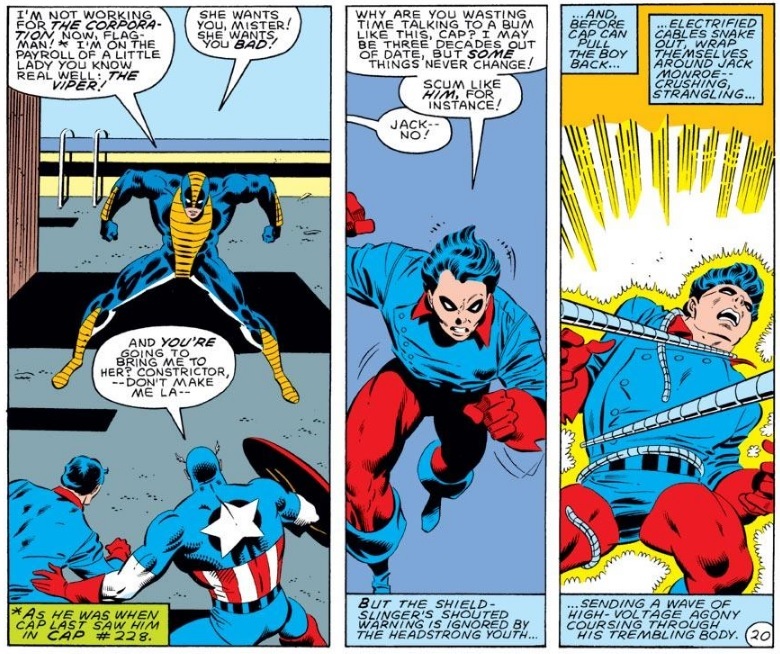 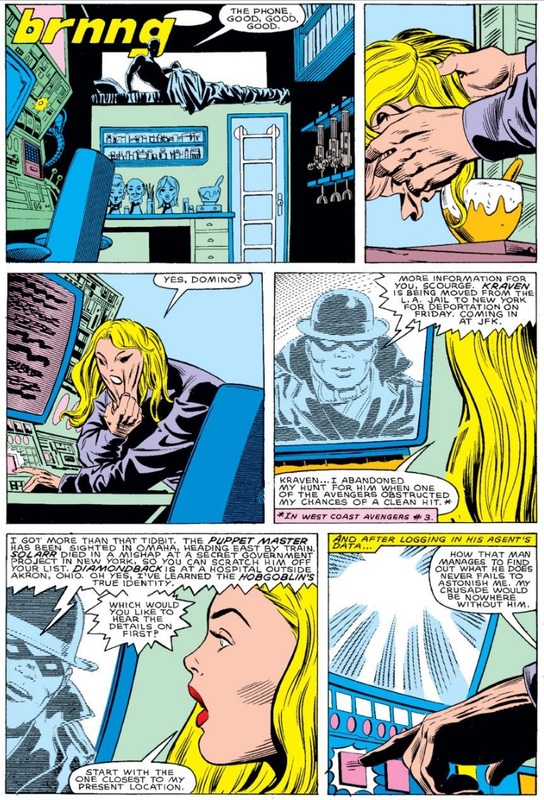 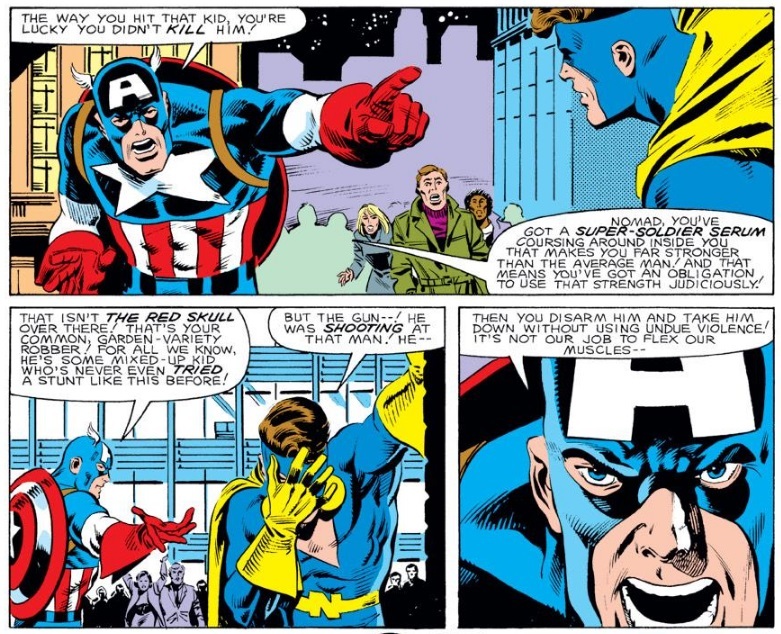 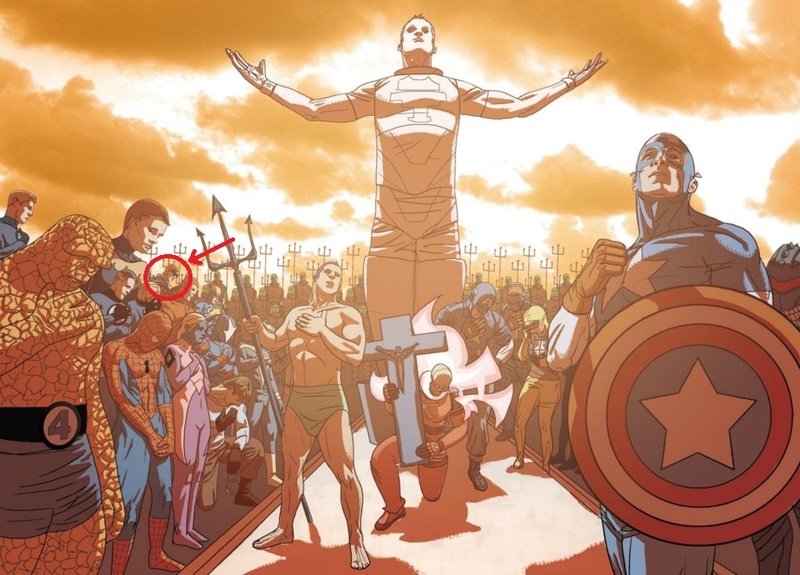 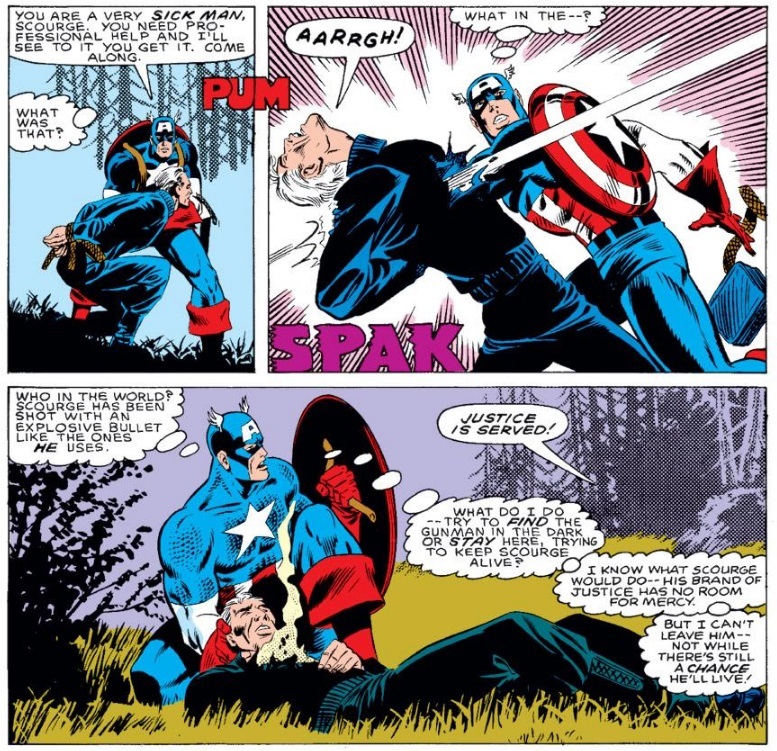 Cap #350 clearly intended, as part of his grand unification scheme, to retcon the Scourge as an agent of Red Skull and a wing of his new organization. 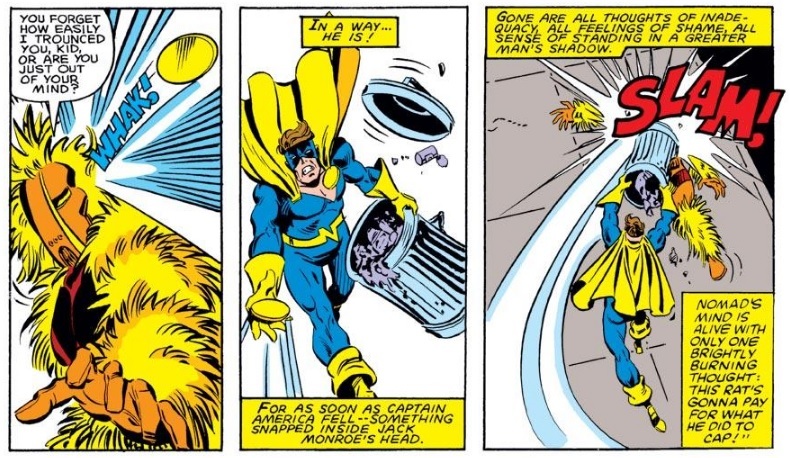 Which actually makes a lot of sense, far more than the retcon retcon we got with the Golden Age Angel. 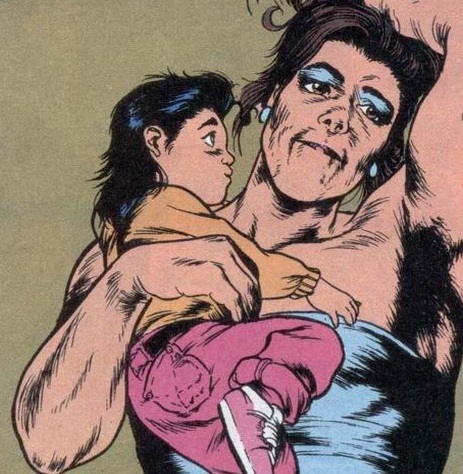 As for the female Scourge thing, for years it was canon that the male Scourge was impersonating Golddigger but fans kept pointing to the fact that no way the original Scourge could have been in a lady’s locker room disguised and not get caught. 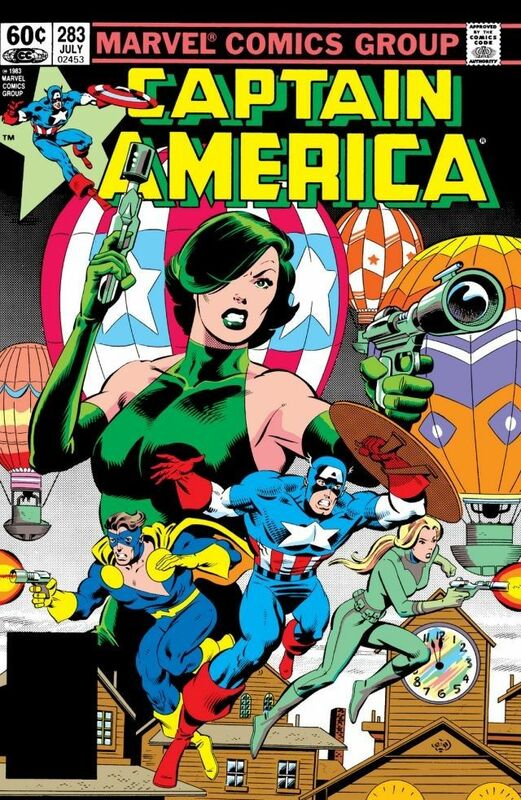 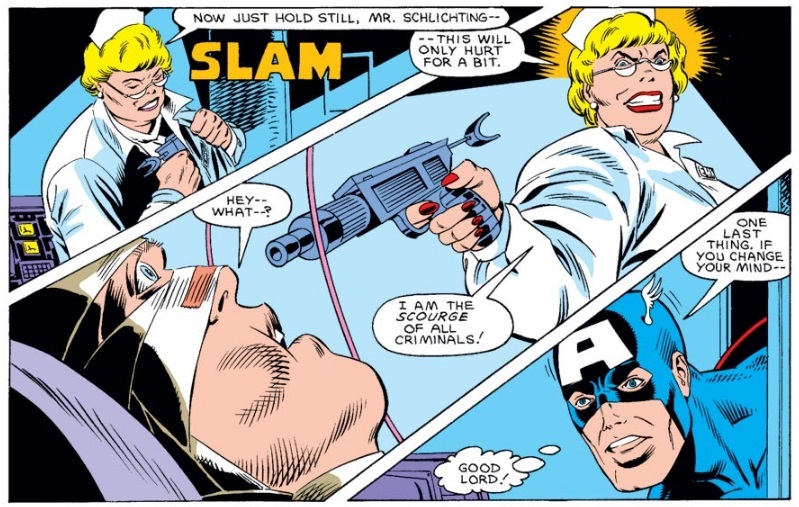 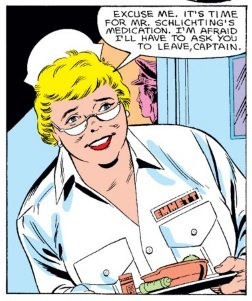 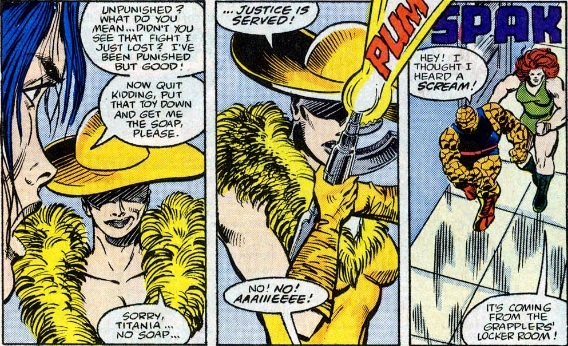 So Gruenwald went ahead with the plot point of female Scourges existing in the USAgent mini-series.